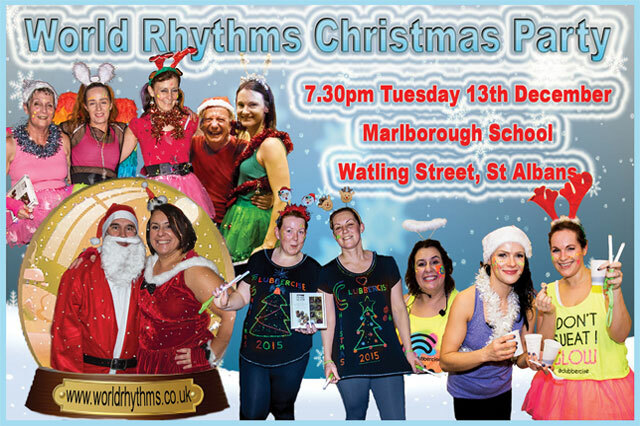 Tuesday December 13th will see World Rhythms 7th Annual Christmas Party. Come and enjoy a fabulous Clubbercise class with special Christmas tracks as well as your favorite Clubbercise anthems from 2016, rounded off with Mince Pies and Mulled Wine. Fancy dress and Christmas themed accessories optional. If you haven’t been to one of our Christmas parties before, check out the photos from Christmas past .